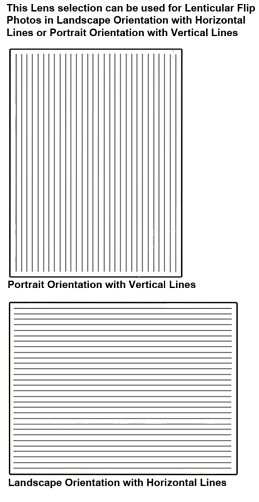 Flip 2X3.5 (5X9 cm) 40 or 60 LPI Lenticular Lens with Adhesive. Lines - Short Side. 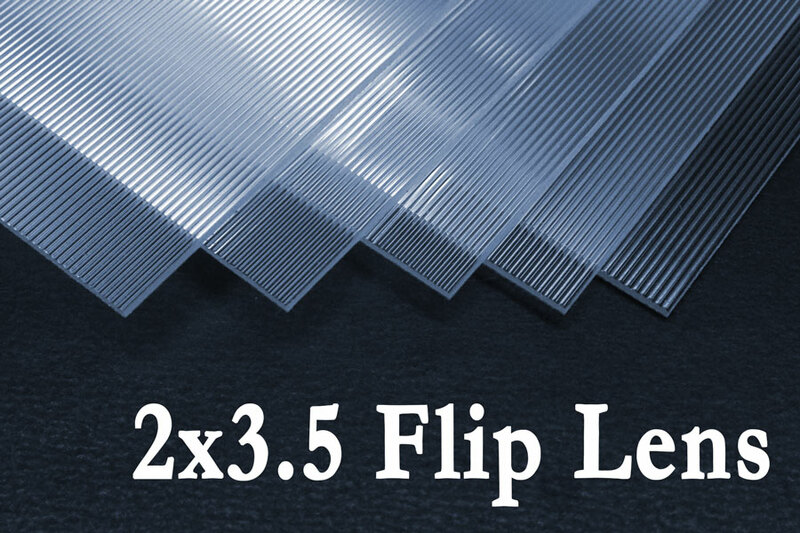 Flip 2X3.5 (5X9 cm) 40 or 60 LPI Lenticular Lens with Adhesive. 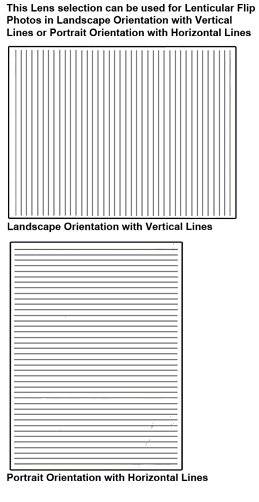 Lines - Long Side.